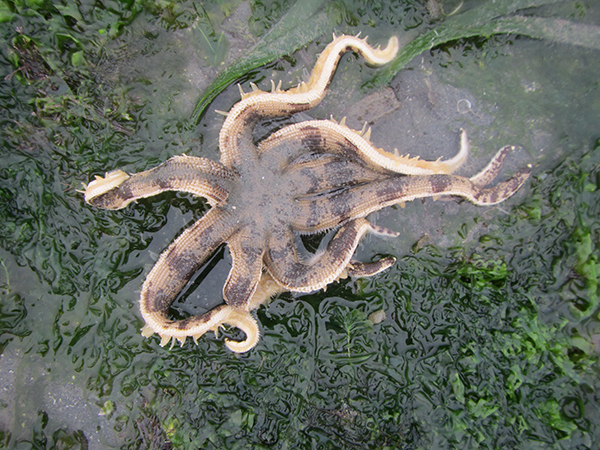 Commonly (but wrongly) referred to as starfish, sea stars are not actually fish. They do not have gills, scales or fins like fish do. But they do have a spine and eye spots located at the end of each arm. These are simple eyes that can tell the difference between light and dark. Not all sea stars have 5 arms, some have as many as 10 or even 40 – which also means that they have that many eyes! 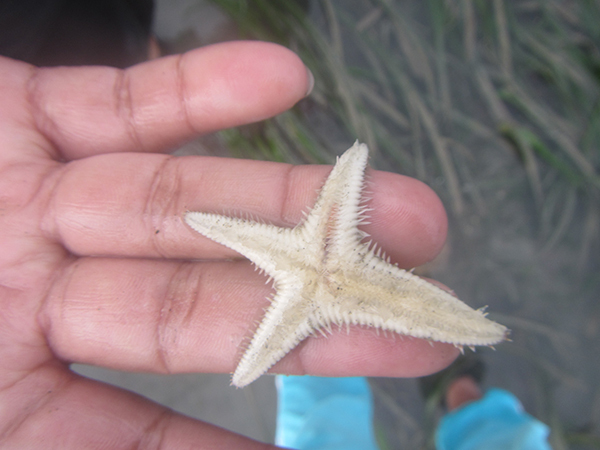 Sea stars are echinoderms, which means that their body parts are arranged symmetrically around a centre point. 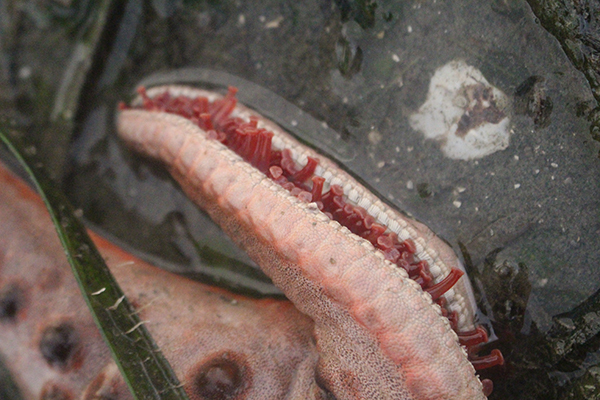 Sea stars can regrow lost arms – some repopulate by dropping an arm then regrow other arms from that one limb. Sea stars walk on hundreds of little tube feet on its underside, similar to sand dollars and sea urchins, which they are related to. They do not have blood, but instead pump seawater through their bodies to help them move and function. Birds, fish and otters love to eat sea stars, but they in turn feast on mussels, clams, snails, barnacles and small fish by sliding its stomach out of its mouth and digesting its prey externally. Then it slides its stomach back in. 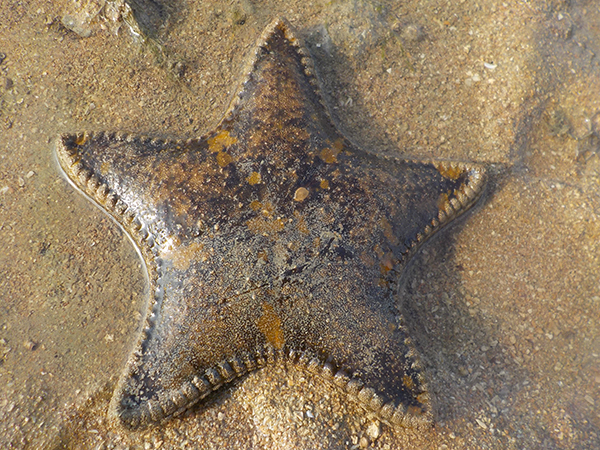 There are thousands of sea star species in the world and many live in the Tebrau Straits between Malaysia and Singapore. Kelab Alami Mukim Tg Kupang (kelabalami.weebly.com) takes visitors on guided habitat walks during the low tide and sea star sightings are almost guaranteed.